The gallery was established in 1993 as a family business, working as a specialist in antique arms and oriental antiques. 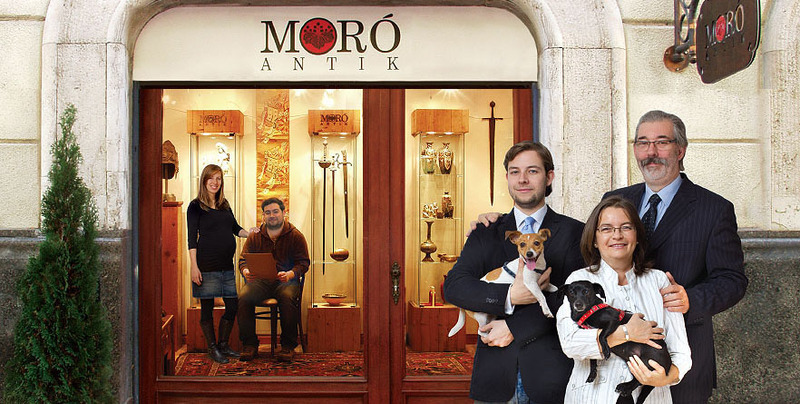 Since then, the Moró Antik Gallery has steadily grown in all of his fields of interests. Any collector or a visitor to our gallery will find interesting and exquisite items for his or her taste. We hope your visit to our web site will be the first of many and that we will see you at our gallery in Budapest, Falk Miksa str 13.